Once again evleaks brings us some juicy information on phones that are yet to become official. This time it's about two upcoming Asha handsets previously rumored as Pegasus and Lanai. 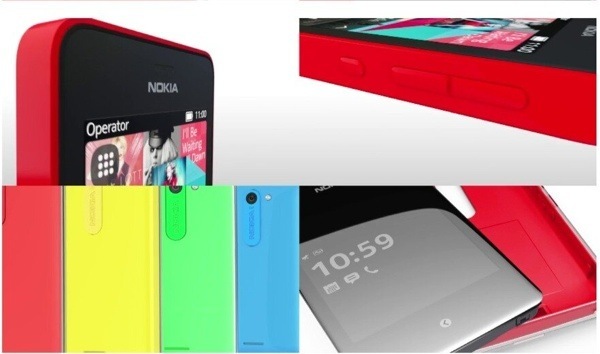 Nokia Lanai will be called Asha 503 and we've already seen it leaking in February in four pictures. It will look much like the firstborn of the refreshed Asha lineup - the Asha 501. However, the Nokia Asha 503 will replace the hardware Back key with a capacitive one and will have its entire front will be covered by a curved glass. You can also spot the 5MP rear camera with a LED flash. Naturally, the Asha 503 will get a dual-SIM version. Nokia Pegasus is bound to go official as Nokia Asha 502, but we know nothing besides the name for that one. The Asha 502 should slide between the Asha 501 and the Asha 503 in the pecking order. We guess the announcement of those Asha phones is close now that the official renderings are done.